Chris Froome has been cleared in the case involving an adverse analytical finding for salbutamol, meaning he retains his 2017 Vuelta a Espana title and is clear to race in this month’s Tour de France. The Union Cycliste Internationale [UCI] issued a statement on Monday morning to announce that four-time Tour de France winner Froome has been cleared of any wrongdoing, with the World Anti-Doping Agency [Wada] not treating his sample of salbutamol from 7 September 2017 as an adverse analytical finding as they are satisfied with his explanation. 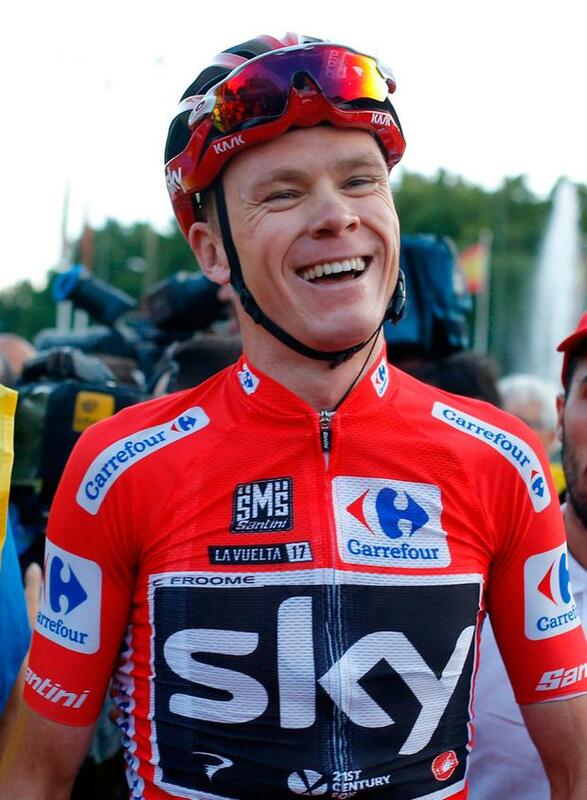 Froome provided a sample twice the maximum permitted dosage of Salbutamol during the Vuelta, which he went on to win, and the UCI launched disciplinary proceedings earlier this year. The 33-year-old maintained that he had not committed any wrongdoing, as did Team Sky, and his clearing comes just one day after Tour de France organisers Amaury Sport Organisation (ASO) attempted to block Froome’s registration for this month’s race, which gets underway on Saturday. The announcement of Froome’s clearing by both the UCI and Wada means that Froome will be free to defend his title and continue his bid to become just the fifth man to win five Tour de France titles after Jacques Anquetil, Eddy Merckx, Bernard Hinault and Miguel Indurain. A UCI statement read: “The Union Cycliste Internationale (UCI) confirms that the anti-doping proceedings involving Mr Christopher Froome have now been closed. “On 20 September 2017, Mr Froome was notified that a sample collected during the Vuelta a España on 7 September 2017 was reported to contain a concentration of salbutamol in excess of 1000ng/ml. “The World Anti-Doping Agency (Wada) Prohibited List provides that inhaled salbutamol is permitted subject to a maximum dose of 1600 micrograms over 24 hours, not to exceed 800 micrograms every 12 hours (the permitted use), and that a concentration in excess of 1000 ng/ml is an abnormal finding which is presumed not to be the result of a permitted use. The WADA Prohibited List further provides that the athlete can establish that his/her abnormal result was the consequence of a permitted use, in which case it will not be considered as an Adverse Analytical Finding (AAF). “The UCI instigated disciplinary proceedings in accordance with the UCI Anti-Doping Rules (ADR), during which Mr Froome exercised his right to prove that his abnormal result was the consequence of a permitted use. The proceedings started with an evidentiary phase, with the UCI and Mr Froome agreeing that the UCI Anti-Doping Tribunal would decide whether certain information could be provided to Mr Froome in preparing his defence. The UCI already sought Wada’s advice at that stage, during which a significant number of expert and scientific reports were submitted on behalf of Mr Froome. “After the evidentiary phase, Mr Froome requested additional information from Wada about the salbutamol regime. Following receipt of information from Wada, Mr Froome then filed his explanation for the abnormal result on 4 June 2018, together with significant additional expert evidence. The case involving Froome led to considerable concern among his competitors over his allowance to compete while the outcome of the investigation was pending, with some riders and teams questioning whether he should be allowed to compete and others considering a boycott if the case was not closed before the start of this year’s Tour. But the UCI moved to appease those fears, adding: “Whilst the UCI would have obviously preferred the proceedings to have been finalised earlier in the season, it had to ensure that Mr Froome had a fair process, as it would have done with any other rider, and that the correct decision was issued. Having received WADA’s position on 28 June 2018, the UCI prepared and issued its formal reasoned decision as quickly as possible in the circumstances.